Someday I'll Sleep Autism Blogs: 5 Months! I realized yesterday morning that the thirteen had snuck on my and that James is now 5 months old. And I have to admit I was a little bit shocked because it feels like it's only been a couple of months. 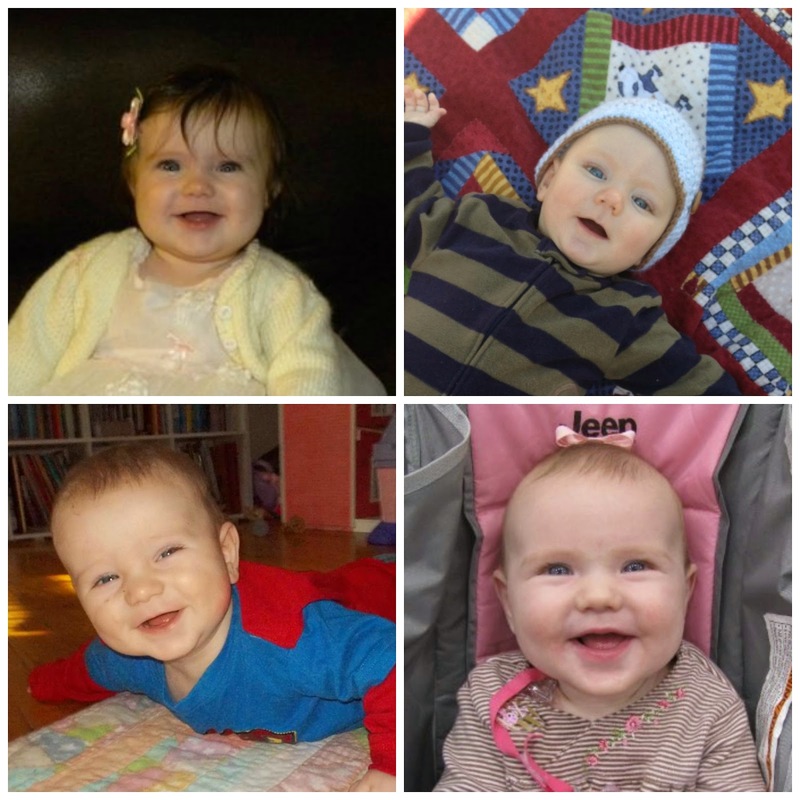 And I just had to put together a "Our Babies at 5 Month" collage mostly because I like to try to guess who he looks the most like. I tend to think he looks the most like Patch, but I think Patch and Sadie look a lot alike too!